Hello everyone! 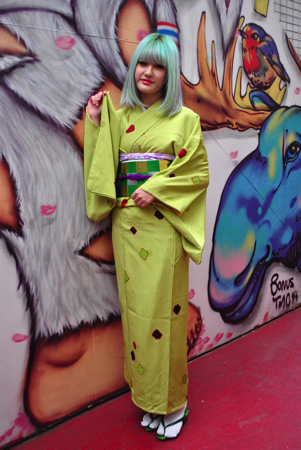 My name is Shiota and I am the curator of MOSHI MOSHI BOX Harajuku Tourist Information Center. 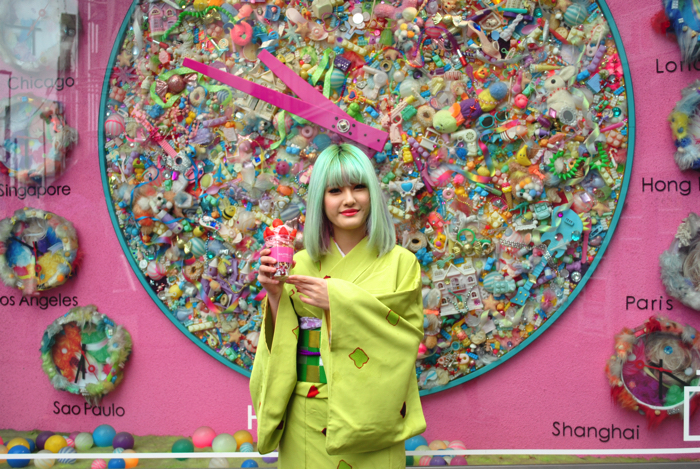 There are many photo spots in Harajuku gathering much attention on TV programs and SNS. 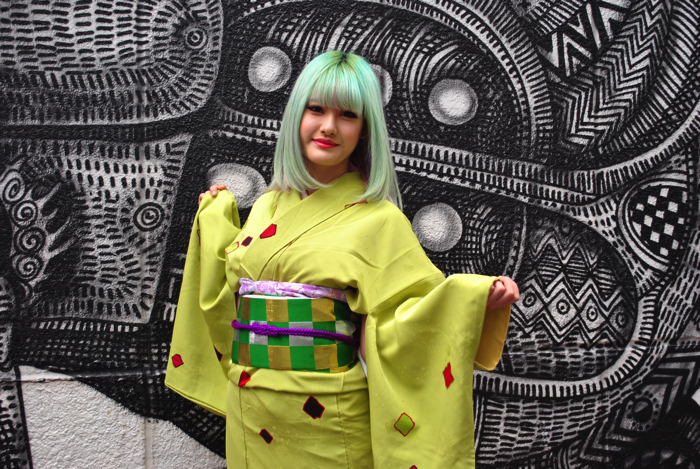 In this article, I will introduce to you some recommended photo spots in Ura-Harajuku with a staff member of “MOSHI MOSHI Kimono Salon,” located next to MOSHI MOSHI BOX. 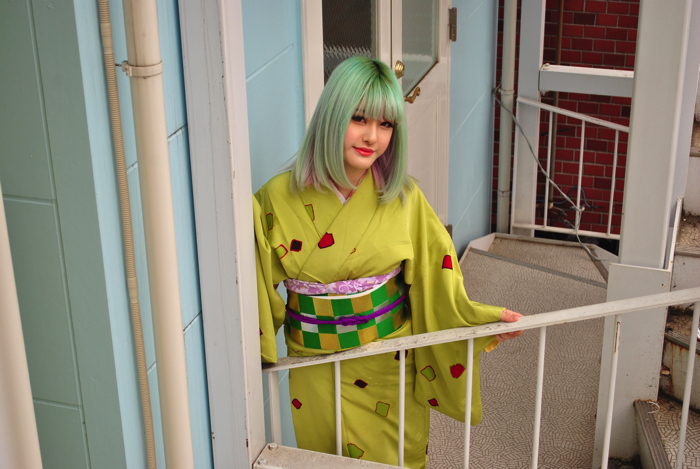 Even places that you visit often look different when you are wearing a kimono. Just try, and you will see! 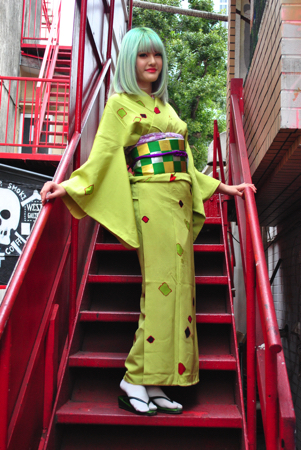 The kimono she is wearing is yellow/green which are colors that suit this spring season. 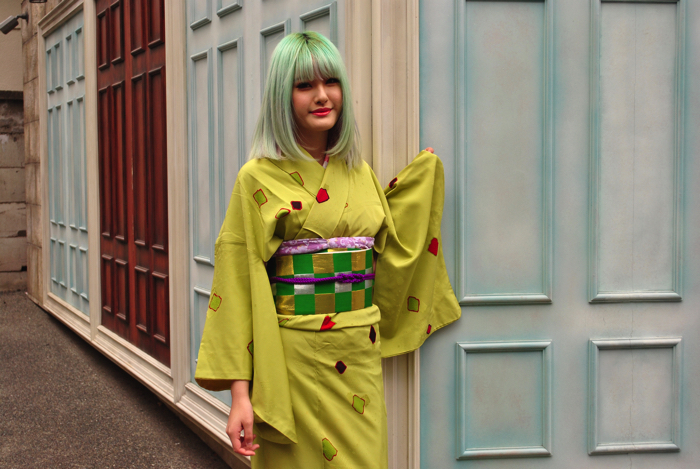 The color of the obi (band) is the same as the color of the kimono so it has a settled-look and it is suitable to walk around town in this kimono. 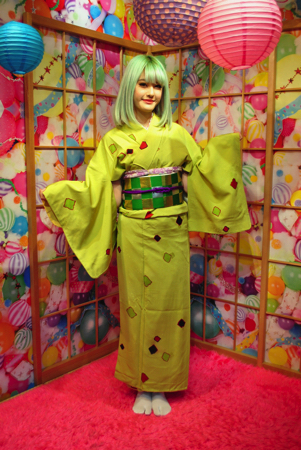 We took a photo in front of the cute shoji (paper door) of MOSHI MOSHI Kimono Salon! The big wall painting beside BEAMS Harajuku was depicted by an artist ZIO ZIEGLER. The wall painting is very outstanding since the wall is painted black and white! A building that has a café and gallery. The exterior of the building was designed as an art work. The entrance fee is free so let’s visit this location! A famous wall which is often featured on TV programs. The wall is located at the end of the street (Meiji Street) between New Balance and Muraski Sports. 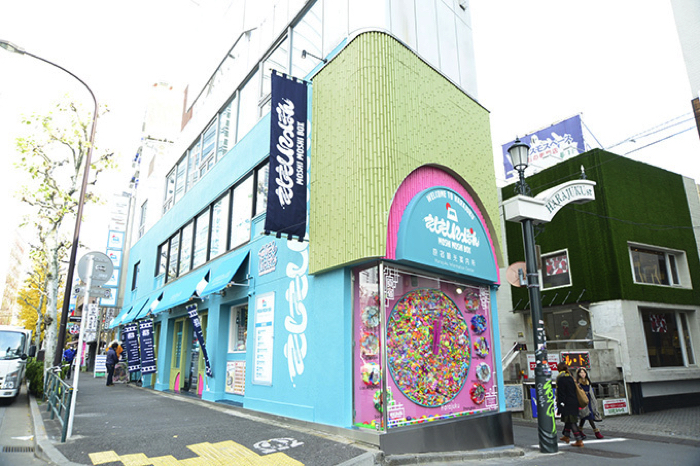 This is a store that sells 500 kinds of accessories, girly sundries and sweets items. It is recommended to take a photo in front of the store since the exterior of the store is Western-style. 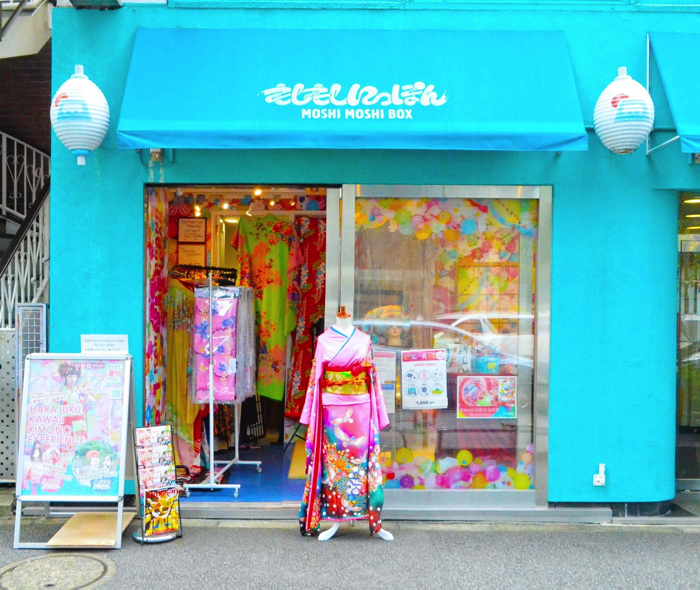 You can find many stylish adds on “Tonchan Street” behind MOSHI MOSHI BOX. Let’s find your favorite location! This store is suitable to be used as a resting place. 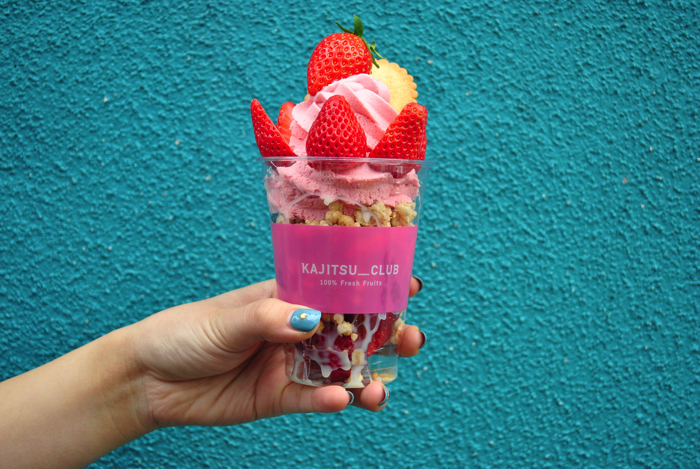 This is the strawberry parfait (1,200 yen – tax included) sold at this store located near the intersection of Meiji Street and Tonchan Street. The store is located above the power stone store and they sell sweets items that are great souvenirs. 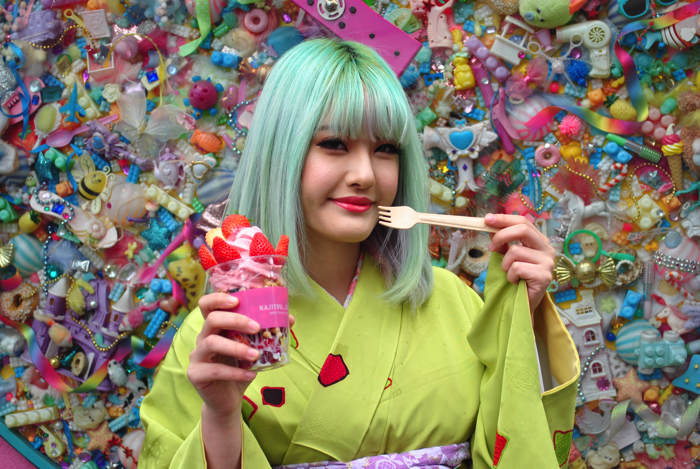 You will feel happy eating sweets items here since many of their items include lots of big strawberries! The texture and taste of the ice cream is similar to gelato. The clock designed by Masuda Sébastien who works with Kyary Pamyu Pamyu as her art director can be found at MOSHI MOSHI BOX. 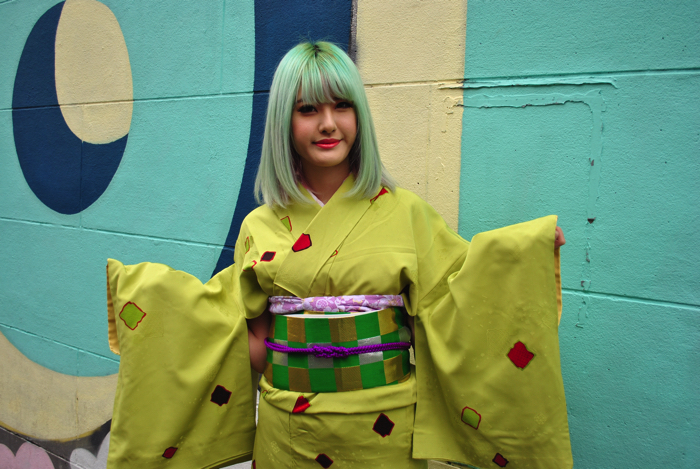 It is a land mark of Harajuku which is featured in magazines and on TV programs and is used in many artisits’ PVs. It is recommended that you hide the silver-colored base of the clock when taking a photo. How did you like our recommended photo spots? 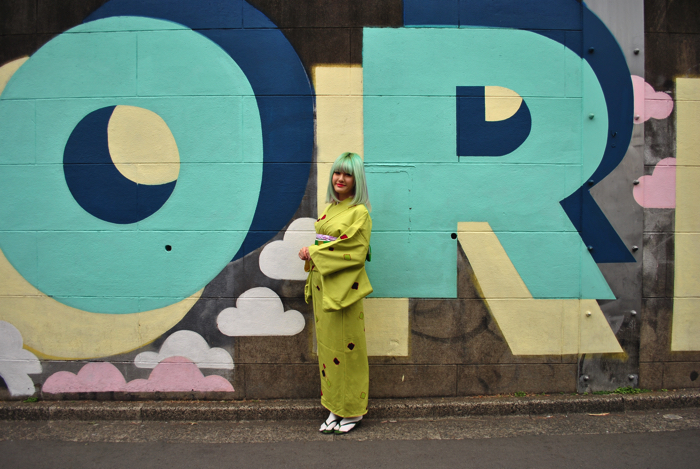 In this article, I introduced to you some standard/new photos spots of Ura-Harajuku. 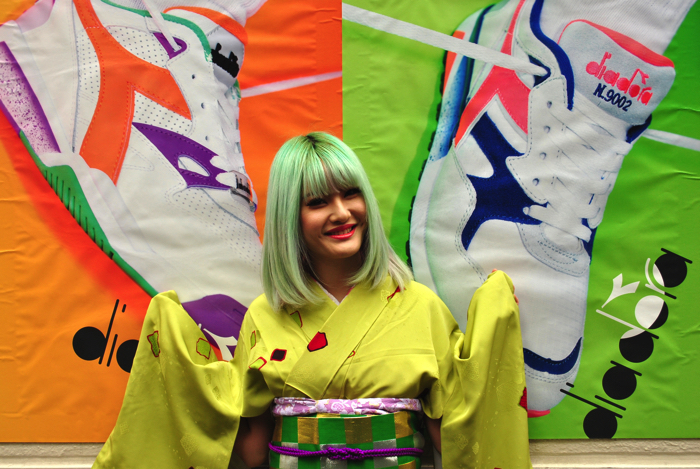 Feel free to contact MOSHI MOSHI BOX if you ever get lost! Why not check out this article as well.